This early childhood tribal networking event will provide opportunities for facilitators, presenters, and participants to share information, resources, best practices, and model programs. Dipesh Navsaria, MPH, MSLIS, MD is a pediatrician, occasional children's librarian, public health professional and child health advocate. He is strongly engaged with early literacy programs in health care settings, particularly around ideas of early brain and child development, which include neurobiological effects of adversity and poverty upon the developing brain. 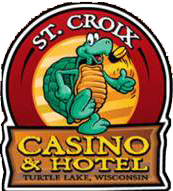 A block of rooms has been reserved at the rate of $71.20 at St. Croix Casino Turtle Lake Hotel until January 23, 2018. Reservations are the responsibility of each individual attendee. Please reference “EC Tribal Workgroup” when making reservations to receive these special rates. at (920) 855-2114, ext. 249 or jphilipps@TheNetworkWI.com. Phone: (920) 855-2114, x249 or jphilipps@TheNetworkWI.com.